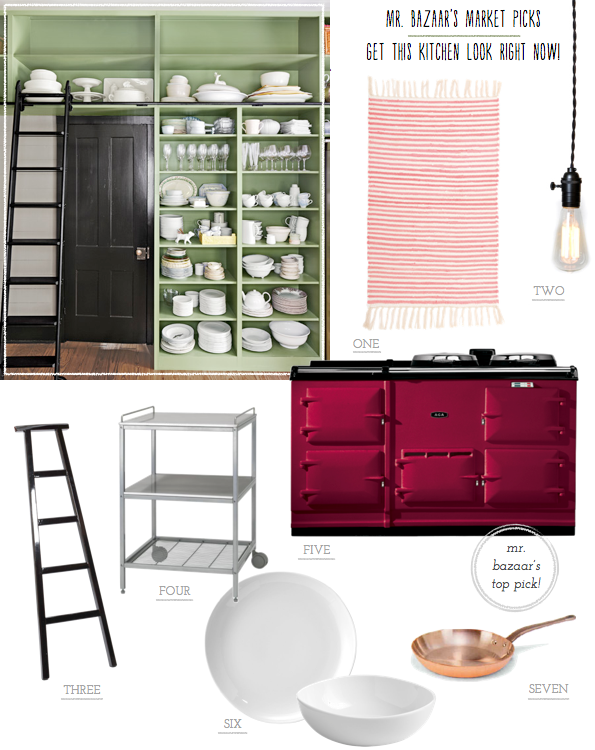 Kitchen Brights: Pick Your Hue! For years I've been left frustrated when shopping for small kitchen appliances. You know the ones I mean: those appliances that resemble a lump of steel or have a cheap white finish. So you can imagine Mr. Bazaar's delight when he happened upon the Kenwood kMix range of kitchen electricals, a collection of colour block brights for your kitchen that could easily have been commissioned by Mr. B himself! 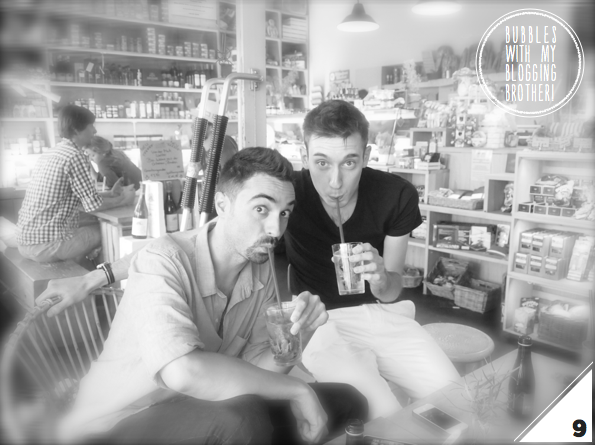 (Also check out their Barcelona food mixer - talk about love at first sight!) 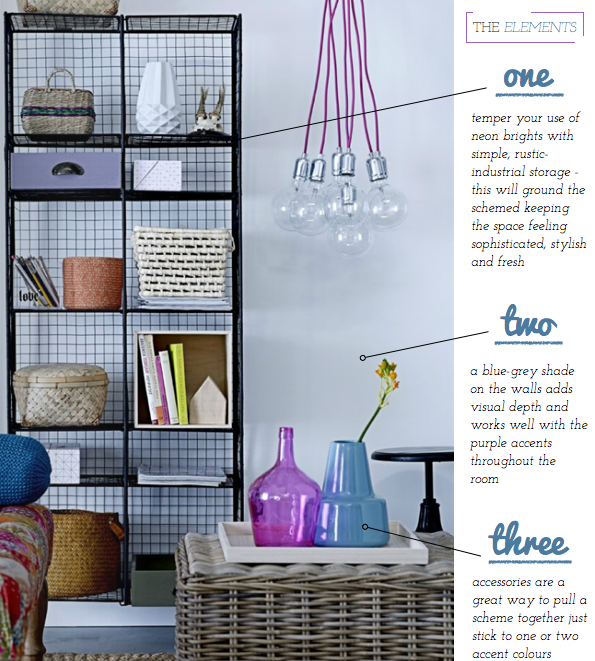 The moment I saw the range I knew it contained ideal pieces to use as accent pieces to a pared back or simple colour palette. 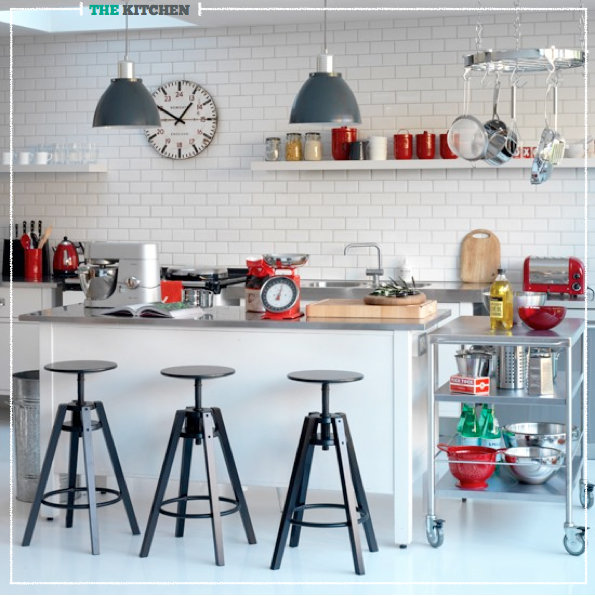 Take the first kitchen as an example, where tomato red accents have been used across the electricals and utensils to add interest and warmth to the otherwise clinical and industrial space. 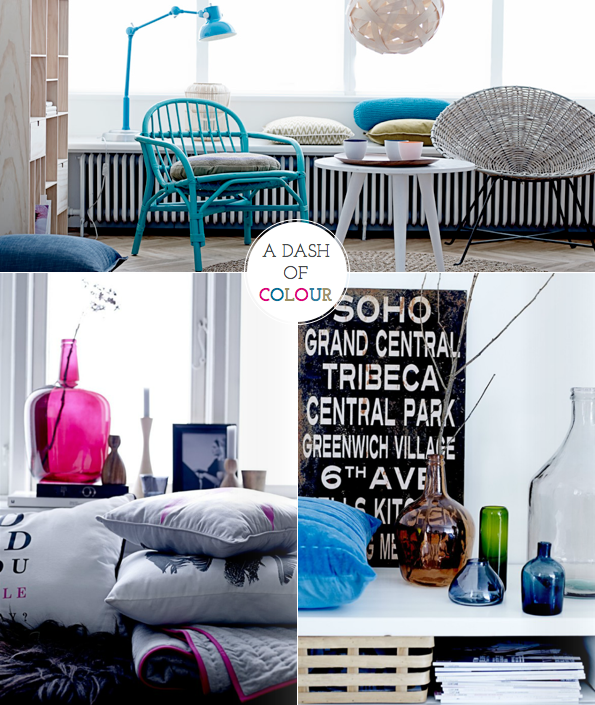 By sticking to one accent colour the resulting scheme feels consistent and visually balanced. 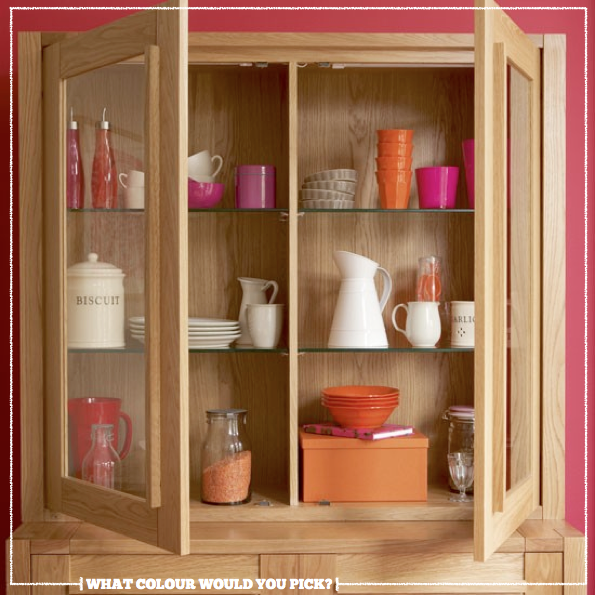 Yet don't be fooled by these clever brights because they earn their keep beyond a standard white kitchen, as seen in the second kitchen unit where pink and orange accent pieces create a sophisticated yet playful palette. For my Bright.Bazaar kitchen I'm opting for the yellow colourway but which colour would you pick to brighten your kitchen, friends? Chill those pillows and put the vases on ice because there's a new colour cocktail in town. Yep, The Mint Magic is the bar menu's new resident and it's perfect to enjoy all year round. Featuring the refreshing base notes of mint and milk white this colour cocktail feels cooling and crisp. 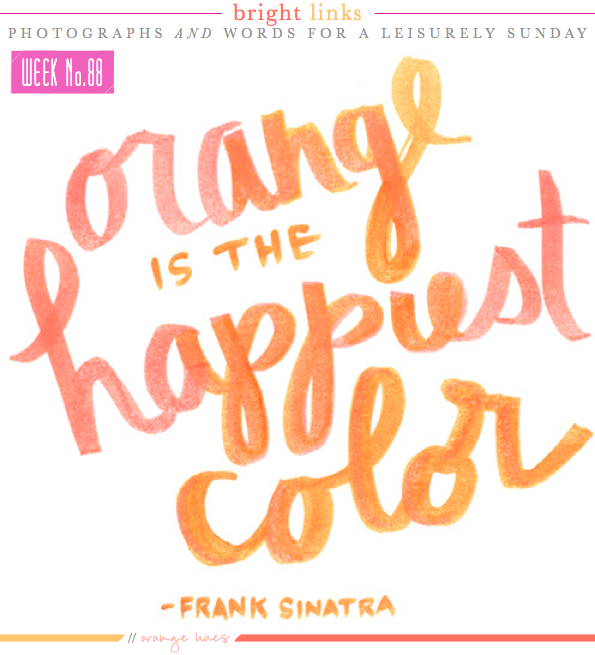 But don't be fooled as there's a triple shot of coral, pink and orange accents mixed in to keep the heat! 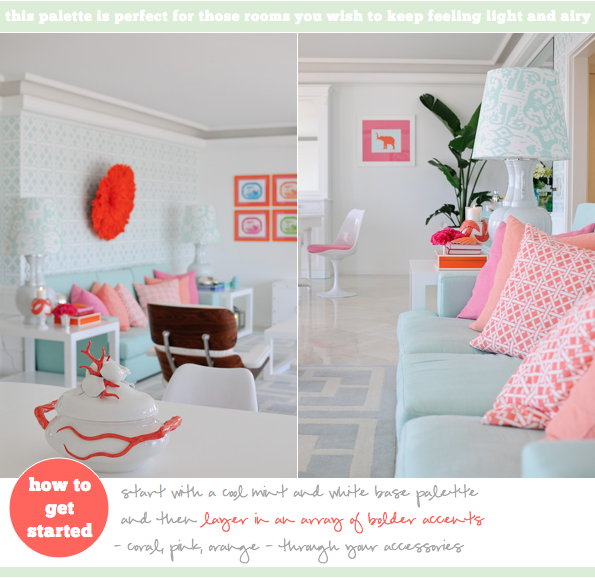 These hues combine to create a colour cocktail scheme that's perfect for spaces that need to remain light and airy all year round. Be sure to mix carefully: be generous with your mint and more restrained with the stronger coral hues for the smoothest result. Cheers, friends! Which of these market picks will you be ordering as you mix up your own Mint Magic colour cocktail? 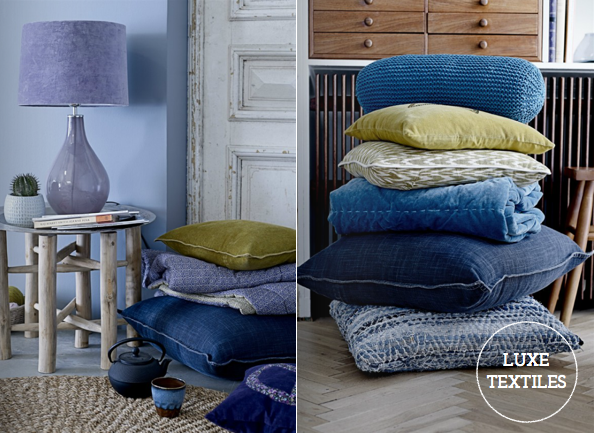 I've written here before about new H&M Home collections (here, here, here and here) and whilst the European members of the Bright.Bazaar gang were able to satisfy their shopping drive with an affordable home purchase, the American folks were unable to do so. 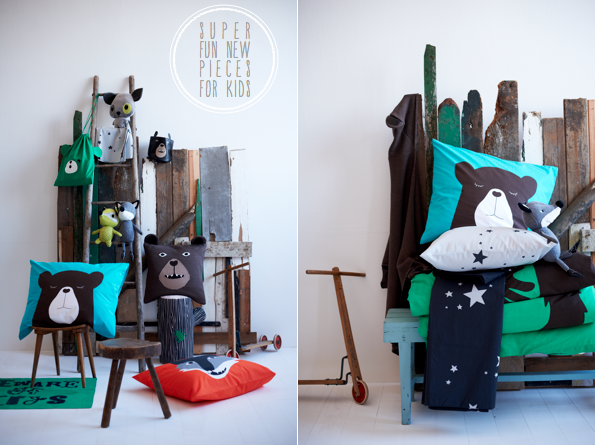 Well, the excellent news is that from early Spring 2013 the brand will be stocking their homeware line in North America. 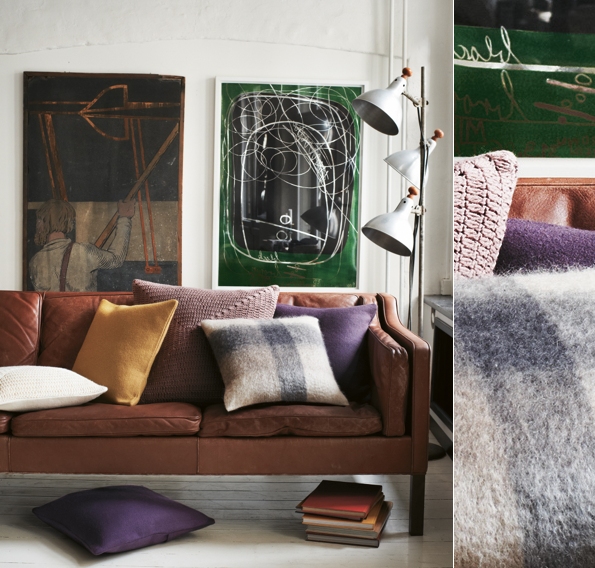 So, now that even more of us can get excited about H&M Home's new collections, let's take a walk through their A/W 2012 range. 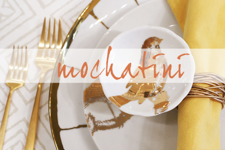 The first look, Art Deco Opulence, is the counter trend to the pared-back simplicity we have seen so much of recently: think metallics, shimmering glitter, bold 1920's art deco patterns and sumptuous, indulgent colour palettes. 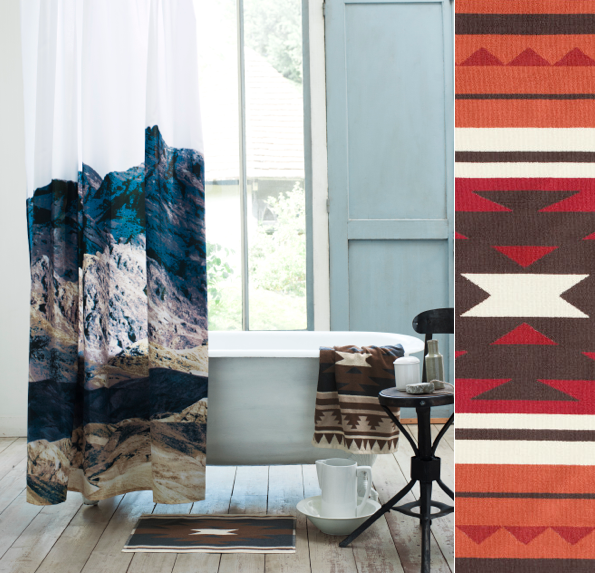 The second trend, Mountain Retreat, is more rustic in it's approach and therefore on closer ground to their previous collections. 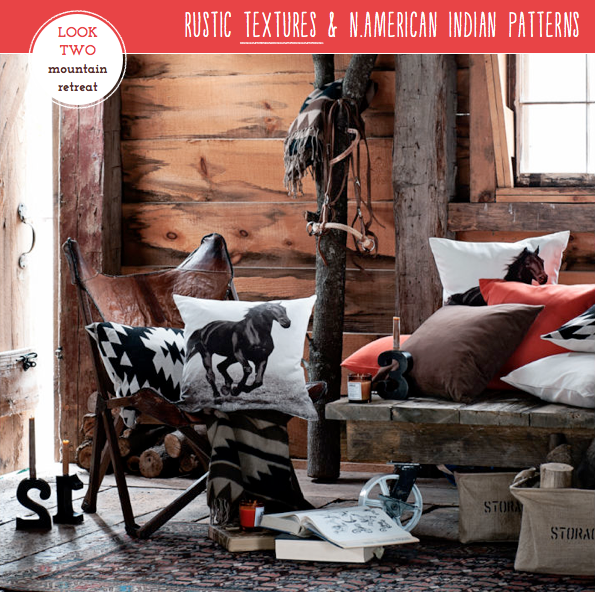 They've updated the look for the forthcoming season with N.American Indian patterns and Wild West print textiles, all of which is set against a palette of orange and brown hues. Finally, Kid's Kingdom offers a host of playful and colourful options for little ones. 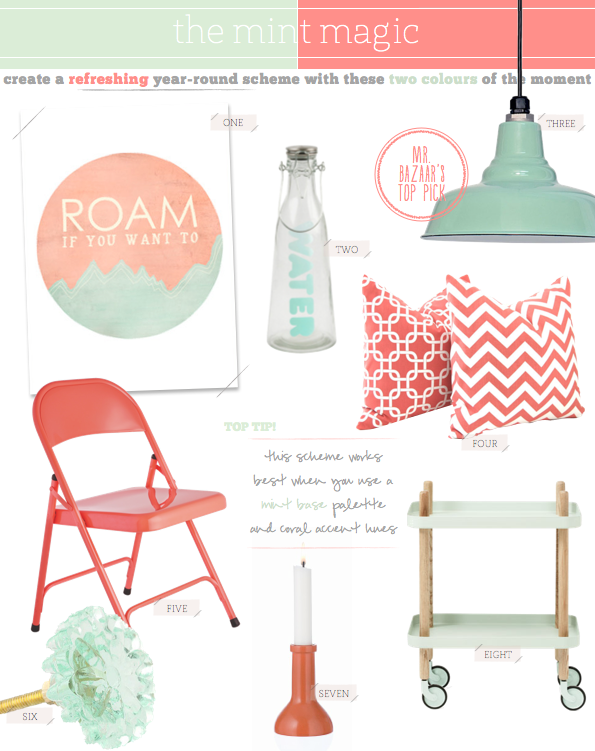 Personally I'm feeling drawn to the burnt orange hues of Mountain Retreat, how about you? 1. The colourful hues of these berries at the Victuals Market (Viktualienmarkt). 2. A yellow stripe awning makes for a charming brunch spot. 3. This behind the scenes shot of Mr. Bazaar in action! 4. 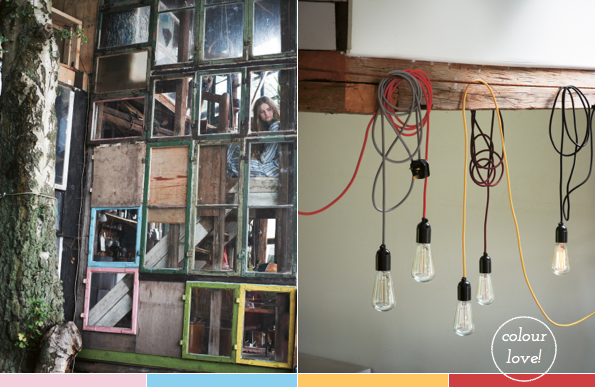 Exposed bulbs hanging at Theresa restaurant made for a super stylish and cosy atmosphere. 5. 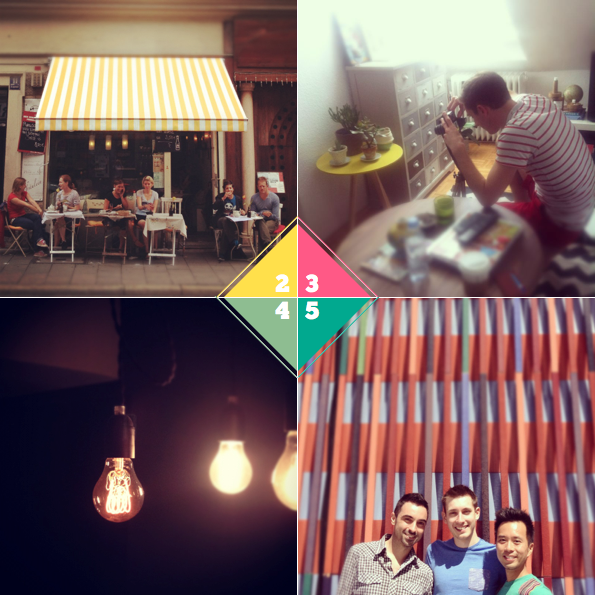 A Sunday stroll through sun-dappled parks and streets with Igor and Tim. 6. 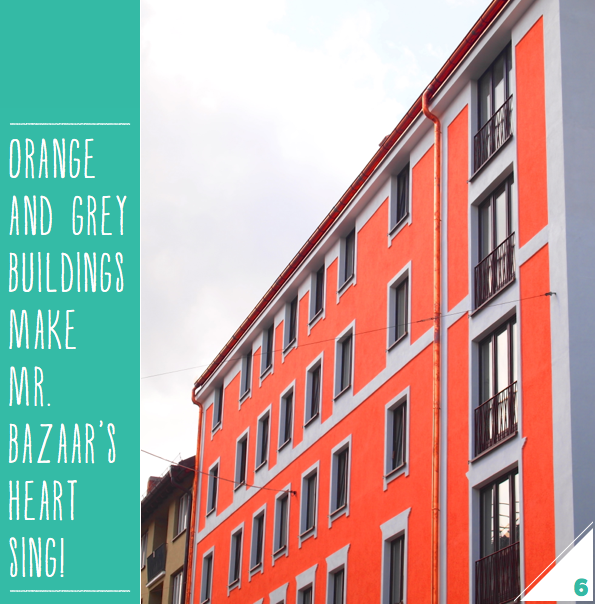 Like London, Munich is full of colourful facades - I loved this orange and grey combination. 7. This pasta packaging combines my love for colour and type. 8. I am unable to withstand the temptation of the freshly baked breads in the Schrannenhalle market hall . 9. Enjoying Friday night bubbles and chats with my blogging brother! 10. 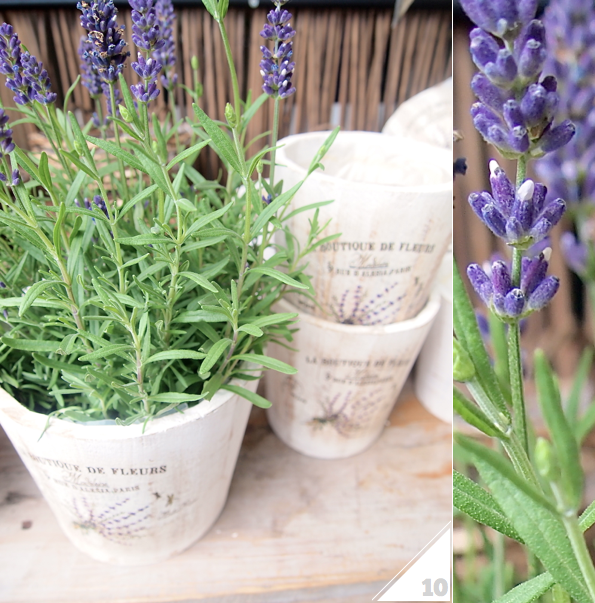 The crisp contrast between the purple lavender flowers and green shoots inspired my colour-loving eye. DIY marquee letters - these are so fun! This cookbook preview had me really excited to head into the kitchen. Mr. Bazaar's Cocktail of the Week. The new issue of Fete magazine is beautiful. I would like to take a vacation here, please. A rustic Napa Valley wedding. Happy third blogging birthday to Scandi Foodie! I used to take family holidays in Paleokastritsa so I loved seeing these snaps. 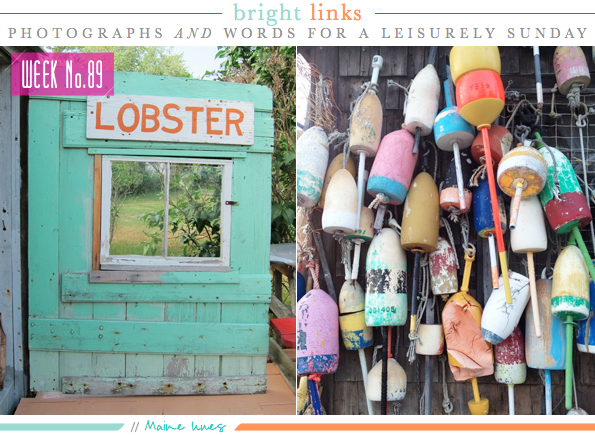 24 hours in Maine - talk about colour me inspired! An exclusive look at Toast's forthcoming A/W 2012 collection. 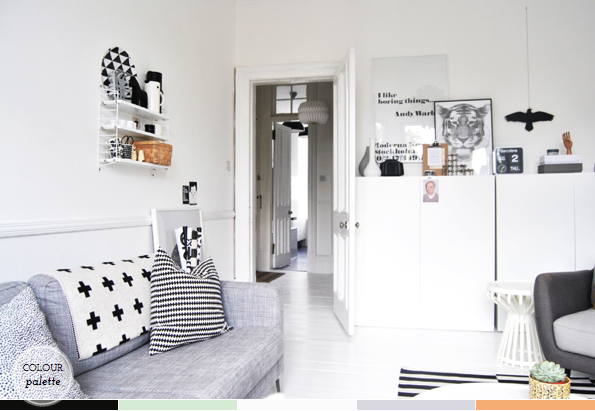 Palette Addict: Black, White & Grey Inspiration. 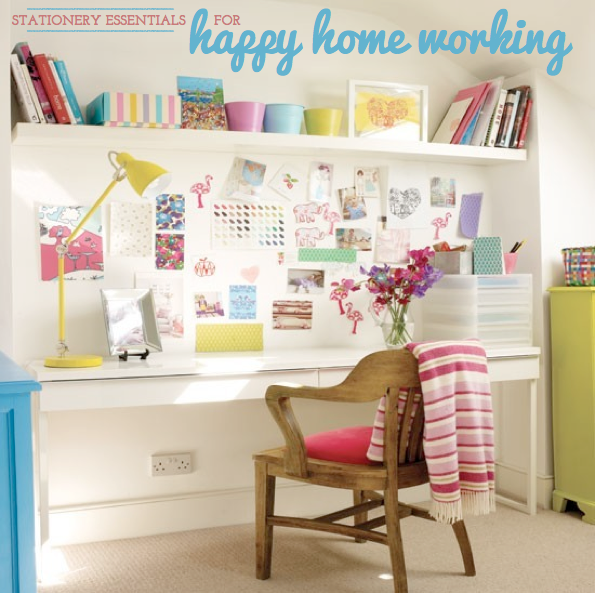 Stationery Essentials For Happy Home Working. Happy Weekend: Mr. Bazaar's Mum Takes Over! It's my mum's birthday this weekend (that's Mr.Bazaar and Mummy Bazaar above just before Christmas lunch last year!) and so she's taking over Happy Weekend with her birthday picks. 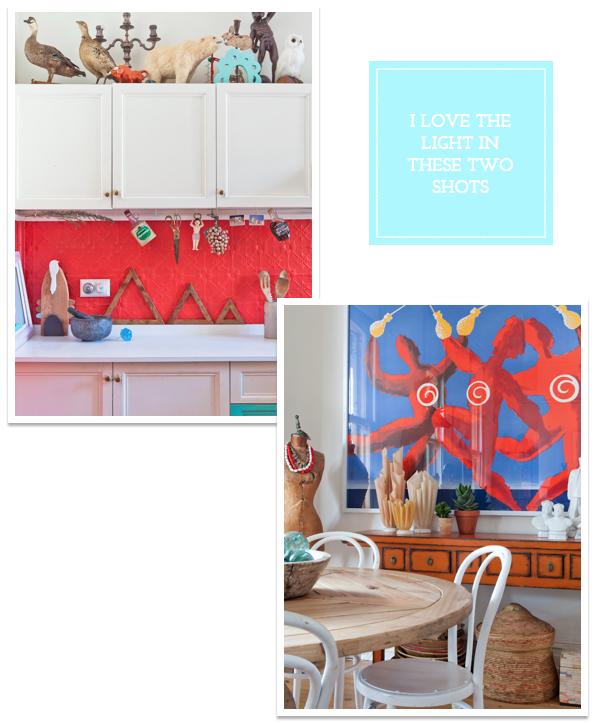 My mum and I have always appreciated interior decor, plus I spoke of the hours we spent in the kitchen together when I was younger earlier in the week. 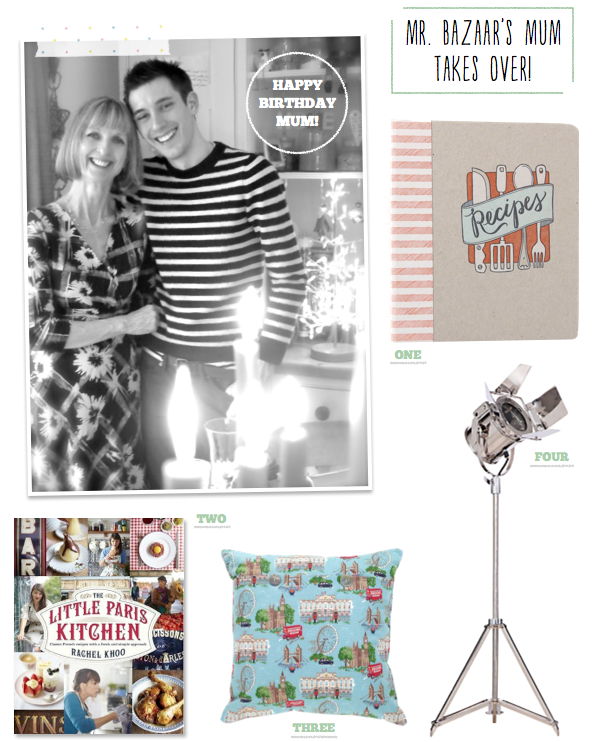 So, then, no surprises that her wish list is full of top notch interior and kitchen-themed goodies. Shall we crack on with what I like to call: Mr. Bazaar's-Mum's-Top-Four-Birthday-Wish-List-Chart, snappy, right?! In at number one is this super cute letterpress recipe folder from Anthropologie, which given the abundance of foodie magazine tear sheets dotted around my mum's house is a super practical pressie. Still at two is The Little Paris Kitchen cookbook by Rachel Khoo. We were both fans of the TV series that aired during Spring so I'm also keen to read the accompanying book. (Has anyone read it?) Slipping to number three after its Olympics high is this London landmarks cushion cover from Cath Kidston which she has earmarked for the conservatory. Rounding out the top four is this photographic studio light for her walk in wardrobe. Happy birthday, mum! 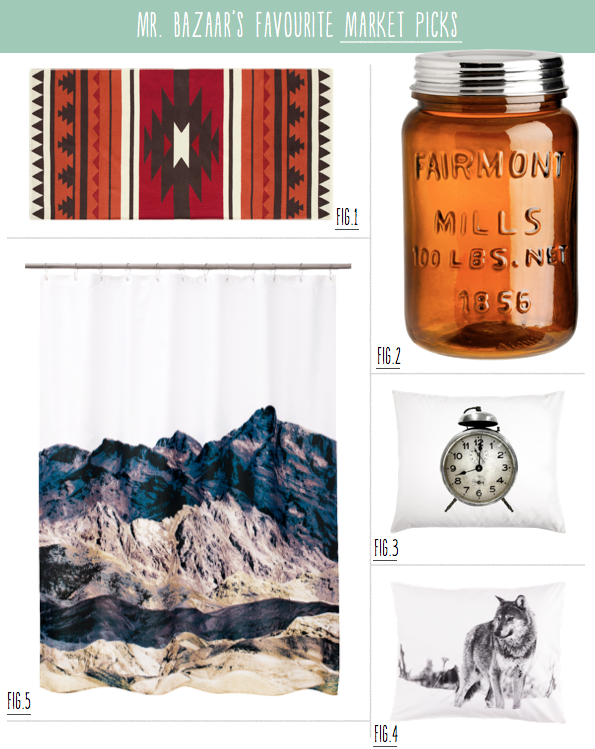 Which wish list pick do you like best, friends? No matter what we use our home offices for - writing bestselling novels or just paying the bills - we undoubtedly like to have stationery essentials nearby. After blogging about Joules' new bedding collection recently I was super excited to discover their stationery collection. I'm a massive paper geek and already have a little stockpile of notebooks, pencils and files that have caught my eye over the years. It's ironic, I spend so much time working online and using new technologies yet I always opt to make lists and organise myself with the traditional pen and paper method. 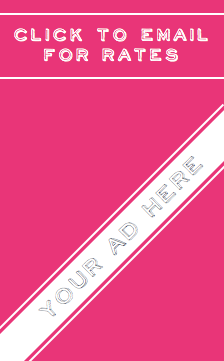 I've never found online organisers or list apps that useful. Does anyone else find that you can't beat pen and paper for list making? As well as using stationery for all my list making, I like to keep copies of my expenses and receipts filed away by month to (attempt to!) 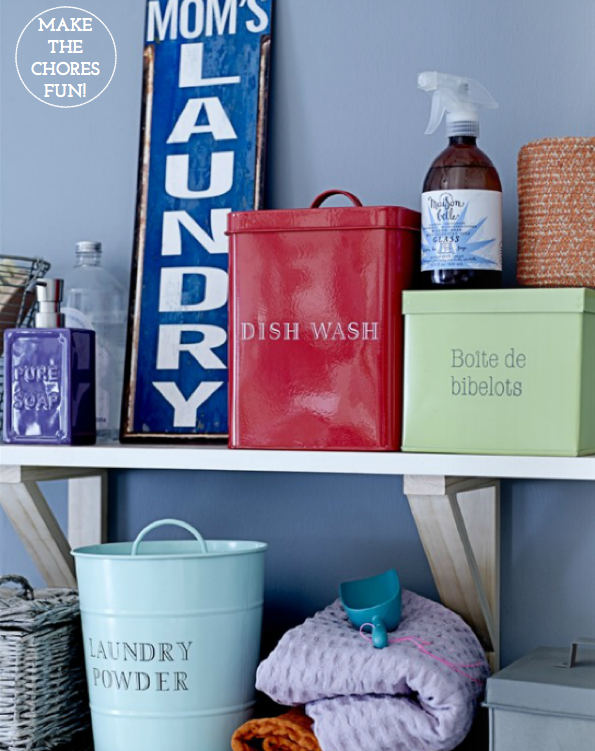 keep organised ready for the dreaded tax return. I find drawers work really well for this as I can label them by month and keep other relevant paperwork inside as well. Boxes with lids work well for storing press packs, which I also group together by season for easy access when working on features. My final essential? OK, so it's not stationery-related, but I spotted these dog beds and they were so adorable I couldn't resist including them. 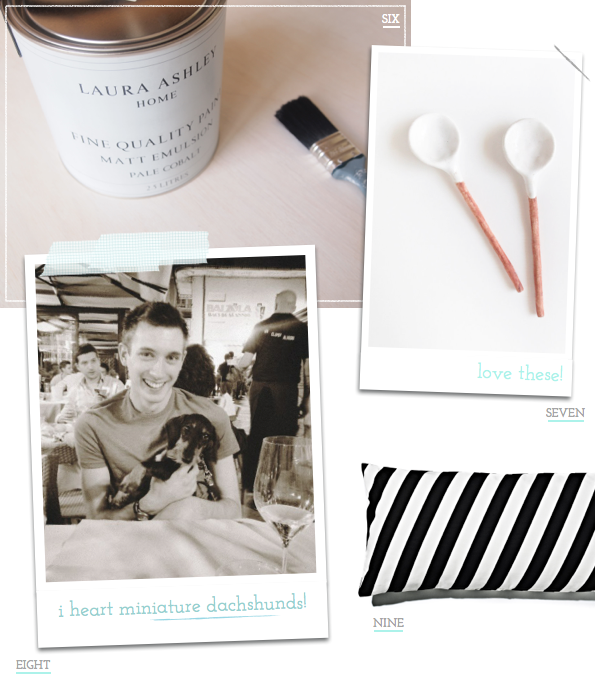 After all, a pooch this sweet is a sure fire way to a happy workspace, right?! 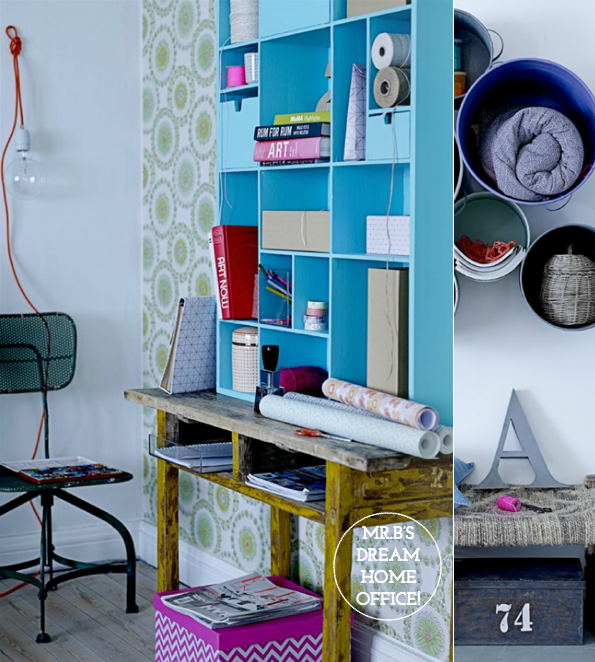 How do you use stationery to organise your home office? I've always felt a strong connection to the kitchen. Yes, I love to eat(!) but it goes deeper than culinary pleasures and stems back to happy childhood memories. When I was little my mum and I used to stand side-by-side baking for hours on end. We'd bake cakes, cookies, biscuits and lots more; I'd watch mum first and then make my own much less fancy version, but it was still a whole lot of fun. 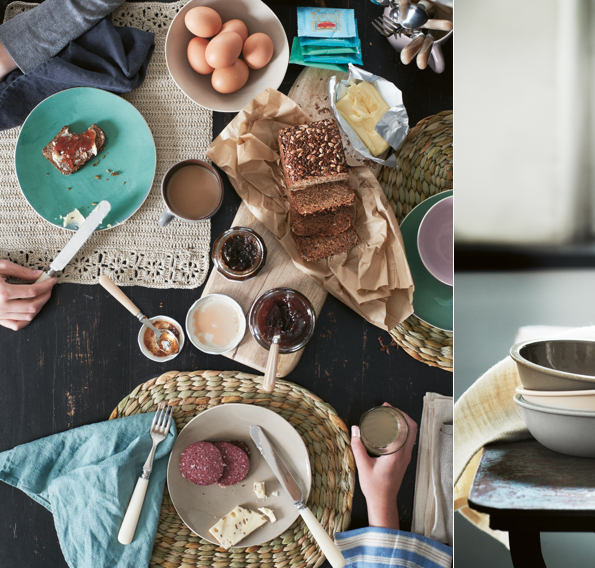 These days when I'm at home I'm often found in my kitchen, whether it's enjoying the peace of dawn with my first coffee before a new day kicks in, cooking up a dish for dinner or working away on my laptop. I'm no minimalist so that cosy, lived-in feel that one often feels in the kitchen thanks to the abundance of pots, pans, utensils and foodie bits, makes me instantly feel like I'm home. That's why the kitchen space of Austinites Marco Rini and Tim Cuppett resonated so strongly with me. The open wall storage and little nooks filled with linen-packed baskets makes for a practical and cosy kitchen that oozes personality. 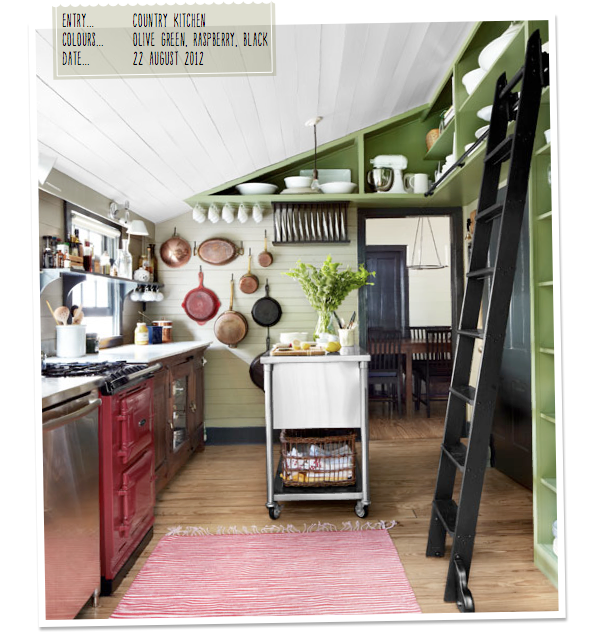 Plus, the olive green and black colour scheme works a treat with the raspberry red accents - delicious! What do you like about this kitchen? Do you have happy kitchen memories? Black and white will always be the classic colour combination for the ultimate chic scheme, but throw some grey into this masculine mix and the look takes on a whole new edge. 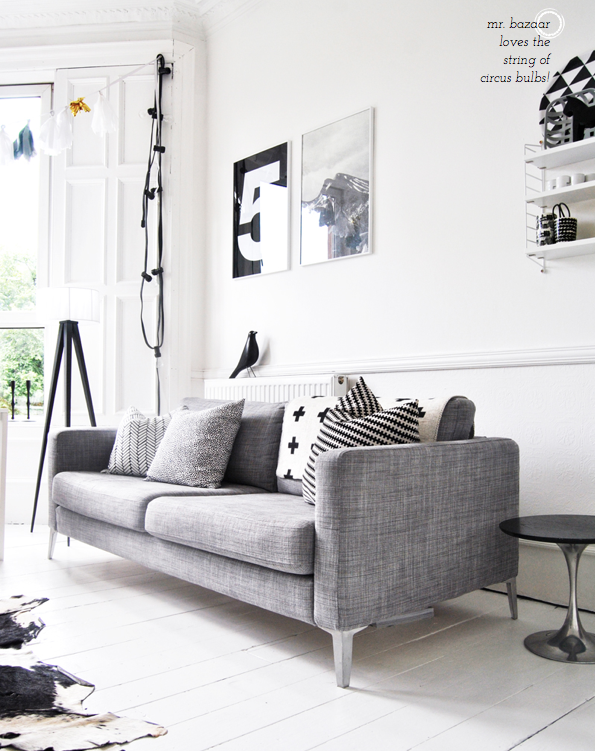 For me, this monochromatic scheme feels soothing and the essence of calm. Sometimes you see pictures in magazines of austere monochrome schemes, yet this space feels far from clinical and I believe it's all thanks to the grey mid tones. 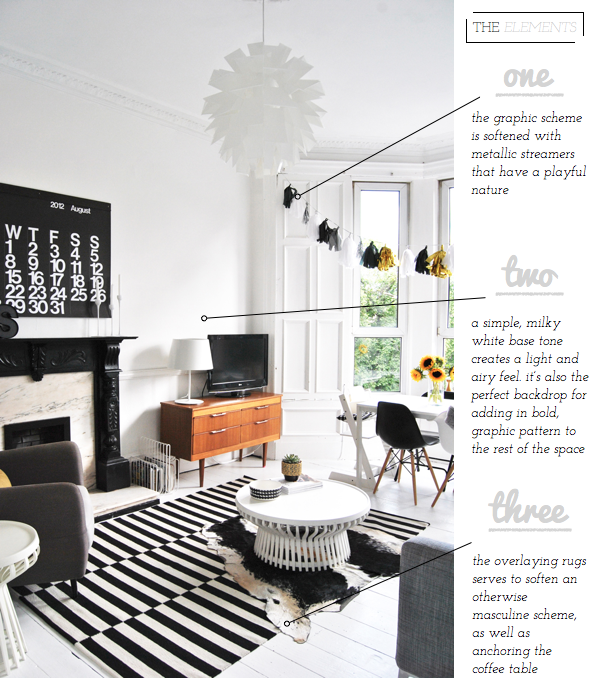 I like how grey has been introduced as an accent hue amongst the dominant black and white, yet because it's been added to the room's statement piece - the sofa - it plays an important role in breaking up the graphic patterns that surround it. In fact, that couch can come home with me right away - I love it! 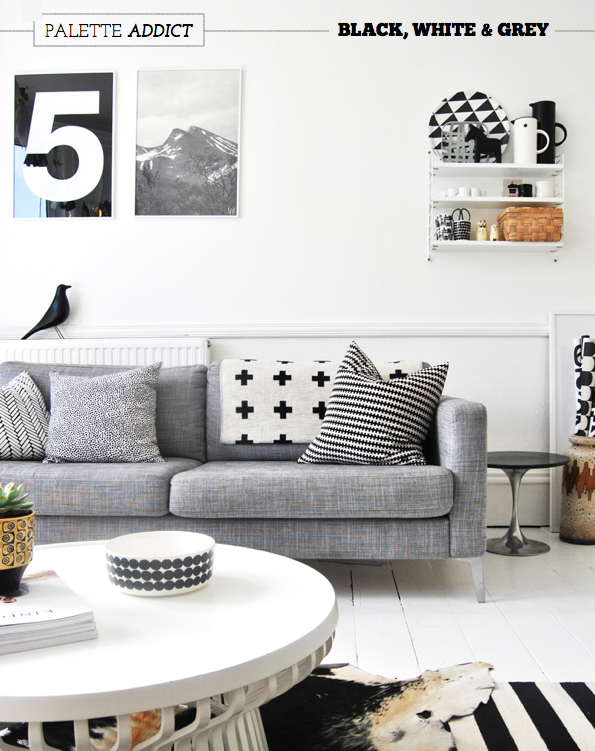 Do you like monochrome decor schemes? 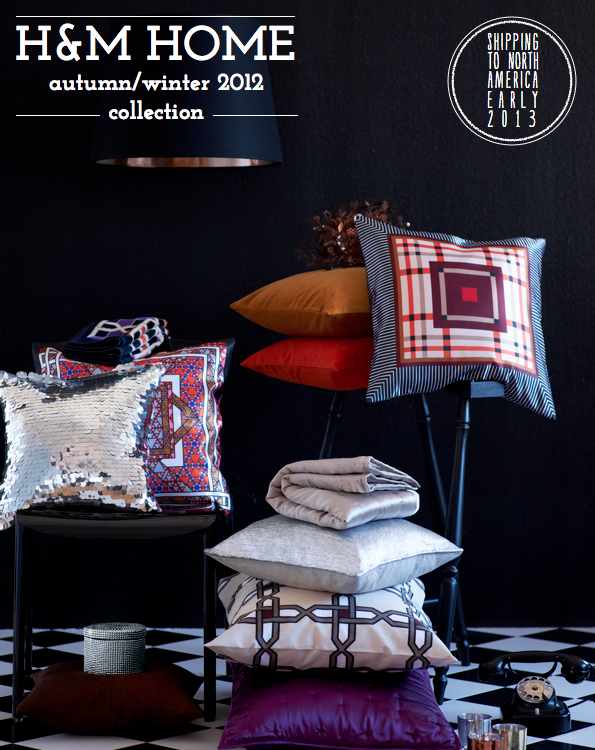 This forthcoming collection from Toast encapsulates so many things I love about Autumn: leisurely weekend mornings spent lounging around the kitchen in my pyjamas; not feeling guilty about weekend days spent inside baking a new recipe; lazy afternoons on the sofa with cosy blankets, cushions and a stack of magazines to challenge the Empire State ready to read. 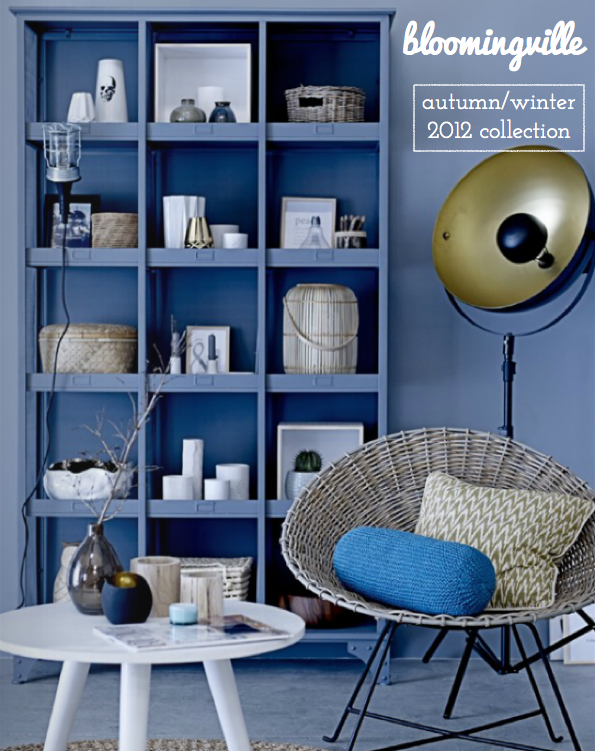 The collection also ticks Mr. Bazaar's boxes when it comes to interior decorating for the season. 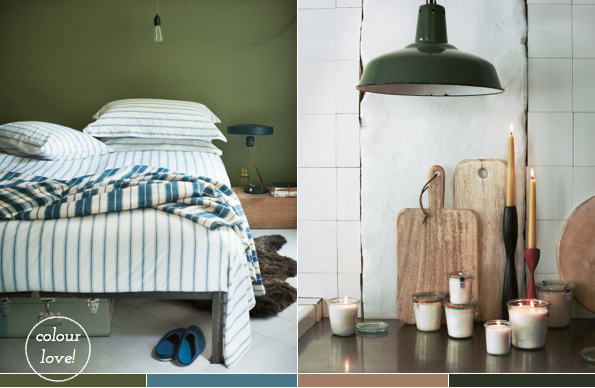 The colourways are in tune with the darker days: deep racing green is paired with jewel-like purple; soft tea green with biscuit and chocolate. 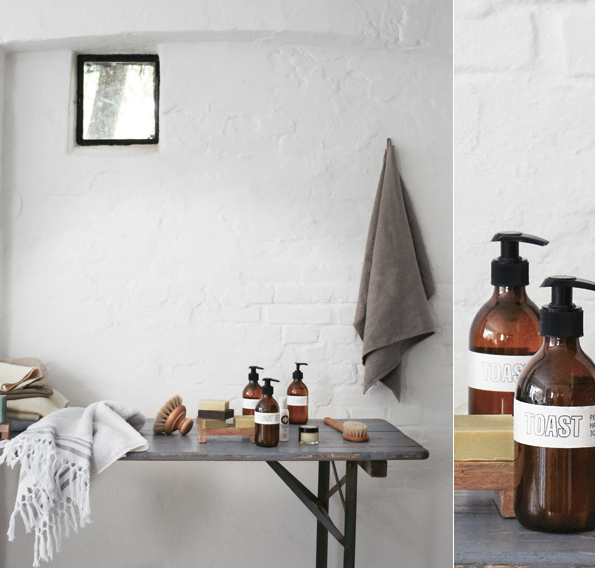 The hues work in harmony with the materials - ceramic, terracotta, organic cotton, British wool - all of which speak volumes of the products' artisan beginnings. 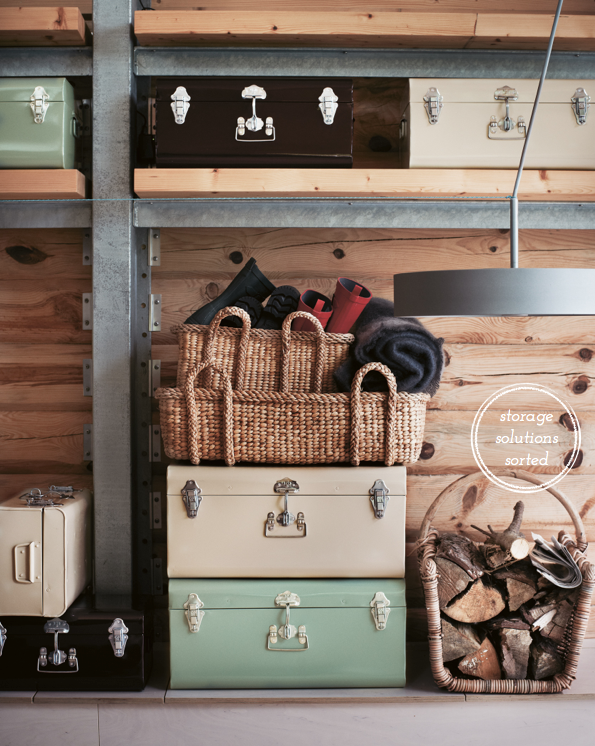 Plus, the collection is packed full of practical buys, from storage to tableware and bedding basics, showing its balance between form and function. Which pieces will have you reaching for the credit card when the collection goes live next week? 1. Being able to eat a tapas dinner on my favourite fish plates. 2. The smell of fresh bread baking in the apartment on Sunday morning. 3. This adorable owl vessel. 4. 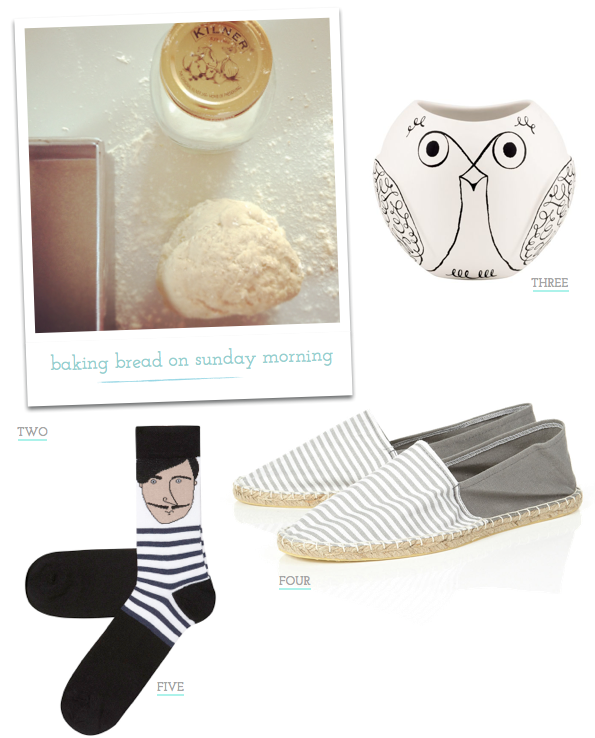 You can't go wrong with a staple pair of stripe espadrilles. 5. These French man socks made me chuckle. 7. These dipped spoons have such simplistic beauty to them. 8. I miss Annette's sweet little pooch, Vivi! 9. 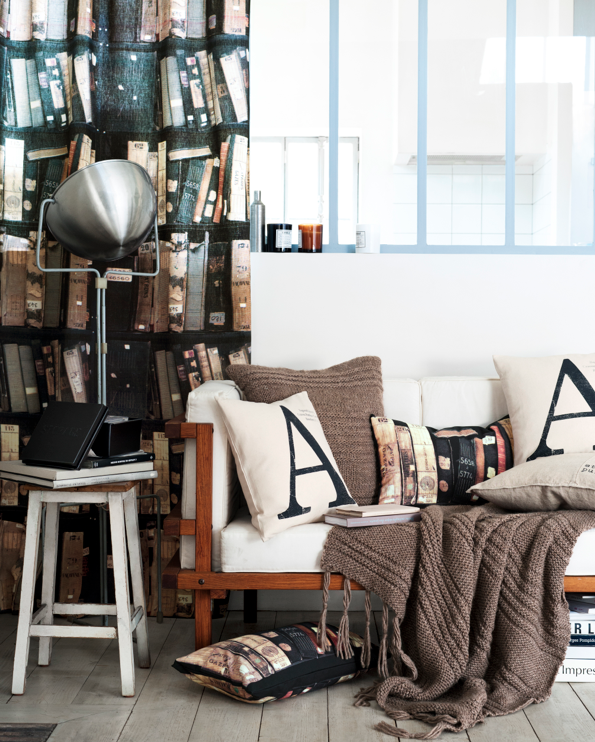 This black and white stripe pillow is super chic. 10. 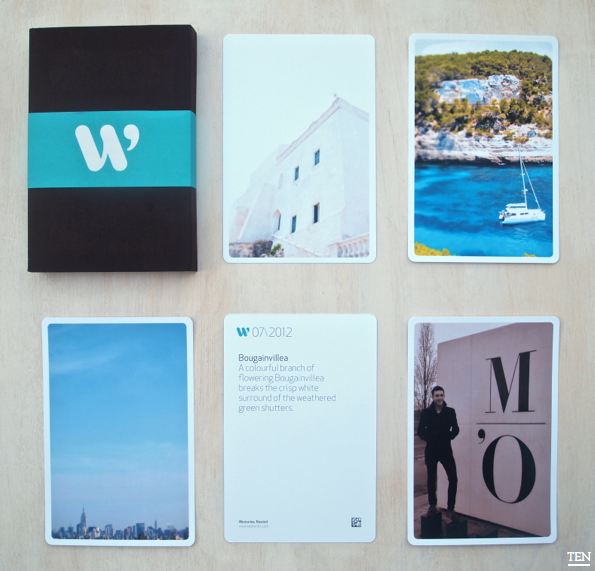 I love how my Wemory Box of photographs came with little memories printed on the back of each print - I'll definitely be giving some of these photo boxes as future gifts. 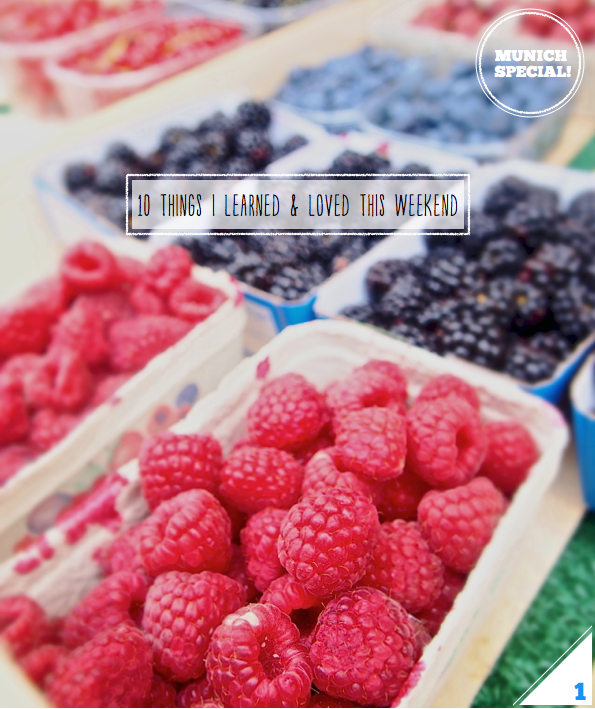 This post made me want to shop at the farmers' market. Excited for my friend Kayla who has launched a new photography business. A beautiful wedding in sunny Provence. So excited to make these Nutella Popsicles! Awesome infographic showing a year being freelance. This cookbook trailer made me smile. Mr. Bazaar baked chocolate chip cookies and more! Store Tour: The Conran Shop, London (love these beach huts so much!). 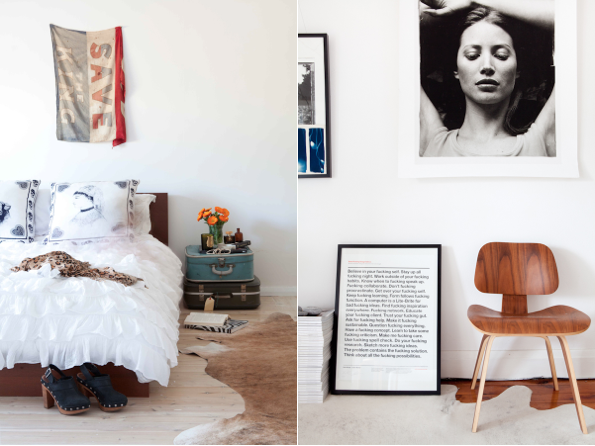 Three ways to style up a bedroom. 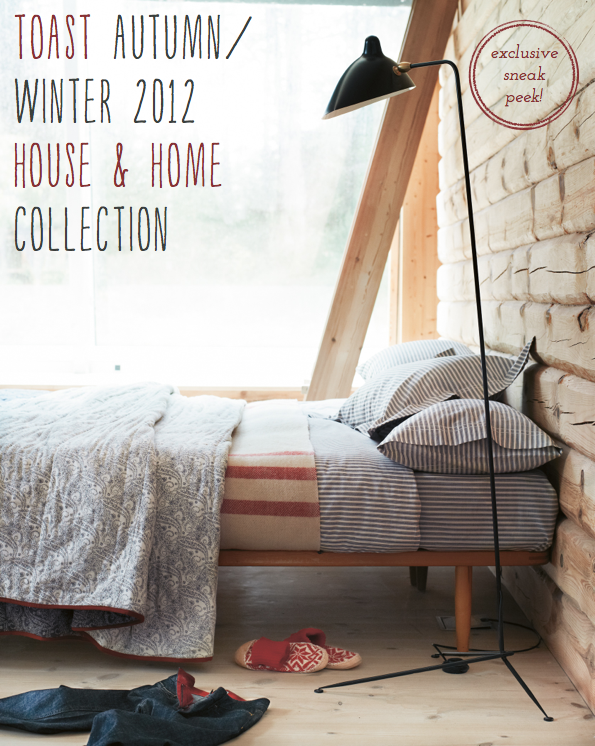 Ferm Living's A/W 2012 collection. A few of my snaps from Italy last year. 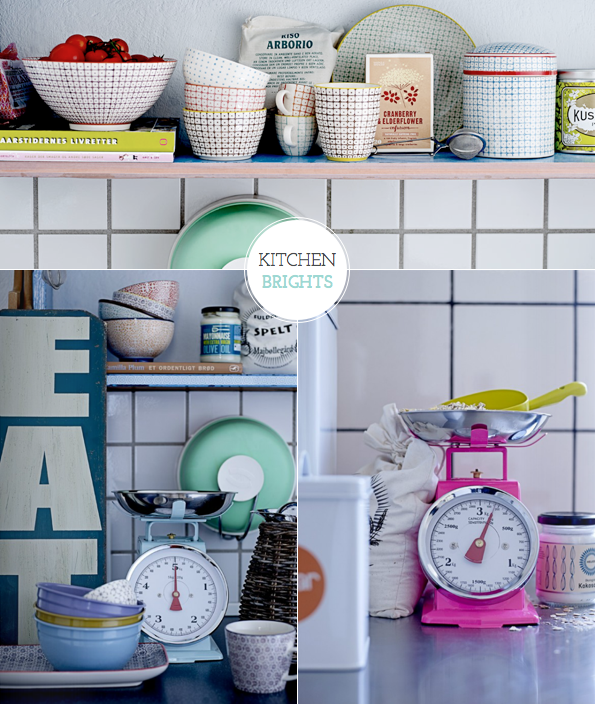 Super cute and colourful kitchen accessories from Our Workshop. 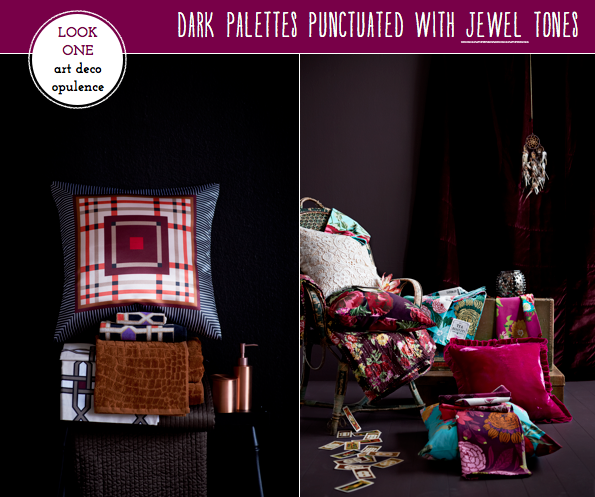 Bloomingville's colourful new A/W 2012 collection. I was speaking with a friend the other day and we both agreed how we are still amazed at the inspiration one can find daily by clicking through the Internet. Personally, I still can't get over how lucky we are to be able to discover inspiring creatives and their work each and everyday. So, what could be a more perfect way to kick off the weekend than by doing just that, namely with the photographic work of Felix Forest. 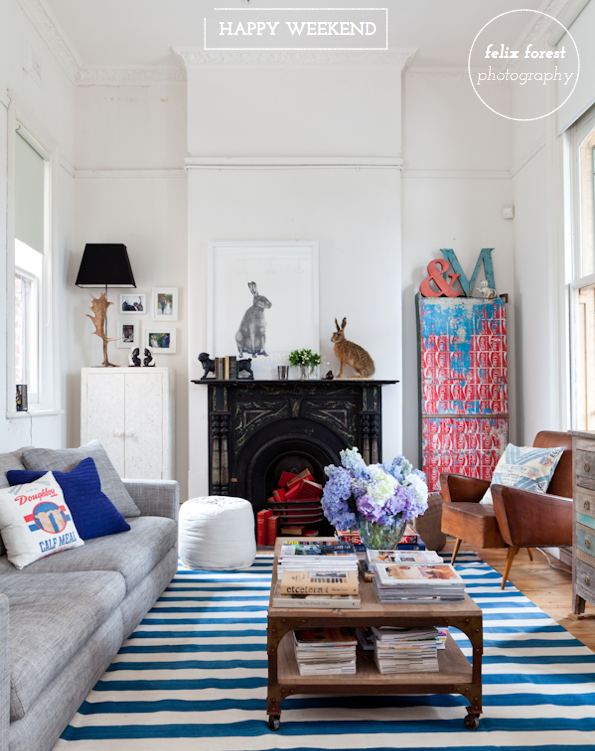 Felix is a top notch photographer based in Australia and he regularly shoots for one of my favourite interiors titles, Real Living. Let's meet him through three quick questions, shall we? What journey did you take into professional photography? I started shooting with my first camera when I was 13, first with an interest was to ‘document’ things but my love for photography was confirmed when I read the book Rapporteurs de guerre by French war photographer Patrick Chauvelnot. I'm not a war photographer but I have a fascination for calm and destruction, and my art series often have elements of it. I had a conventional education in France that didn’t involve much creativity apart from drawing classes as I was studying a bachelor of Economics and Finance, so I started taking black and white film processing classes before I started assisting other photographers. Photography is an ever learning passion, it keeps inspiring me as each door you open leads to ten new doors and it keeps unfolding and each idea leads to another one and another one. My partner Dina Broadhurst has a background in Interior Design and I am very lucky to be able to work with her regularly as we find interest in very similar creative enterprises. My work has appeared (or will appear soon!) 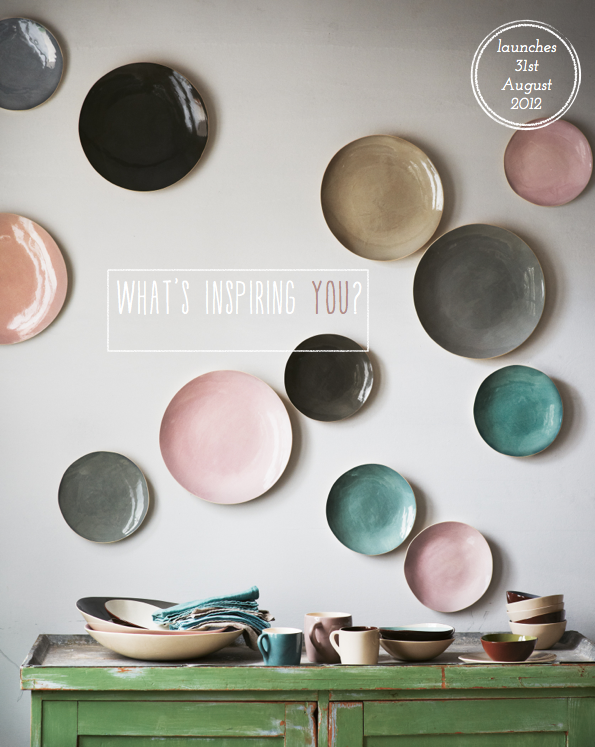 in Vogue Living, Inside Out, Belle, Real Living, Vogue Australia, Grazia, Grand Designs, Habitus, Vogue Brazil, and COUCH. I also shoot for advertising clients including, IKEA, Coco Republic, Murobond, Broached Commission, Fenton and Fenton, MCM House, Baye and Fyfe. Thanks, Felix! Have a lovely Saturday, friends. 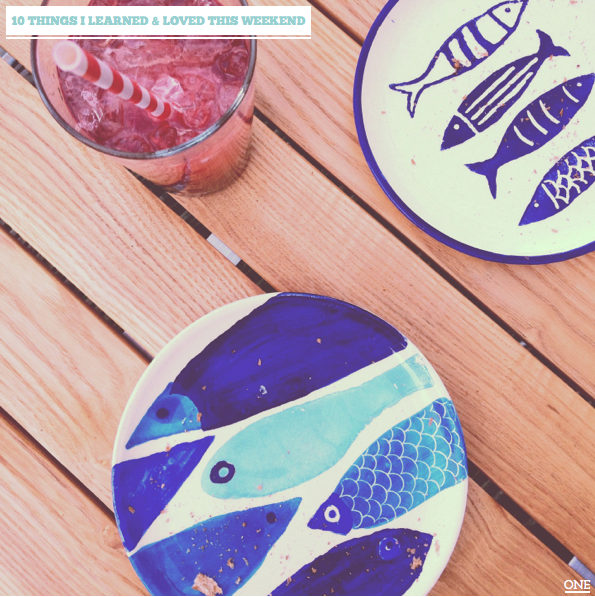 I'll see you here tomorrow for some of my favourite links I've read this week. 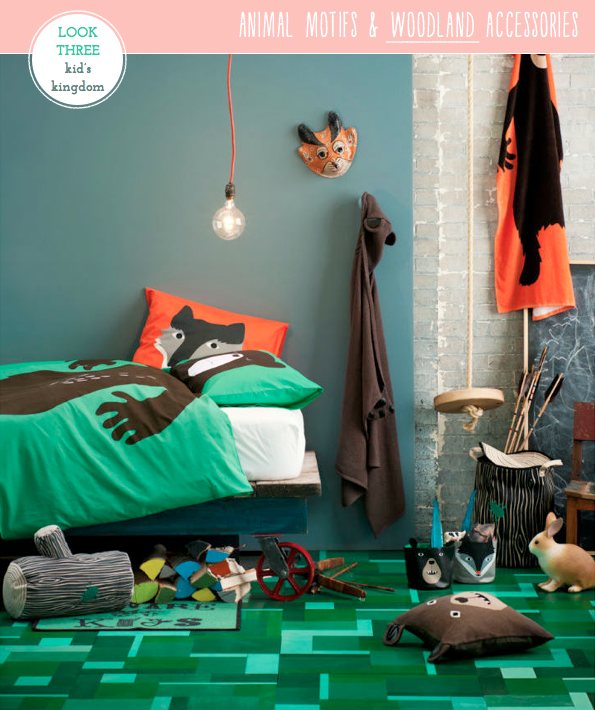 Oh, those super stylish Danes now how to get it so right when it comes to design. 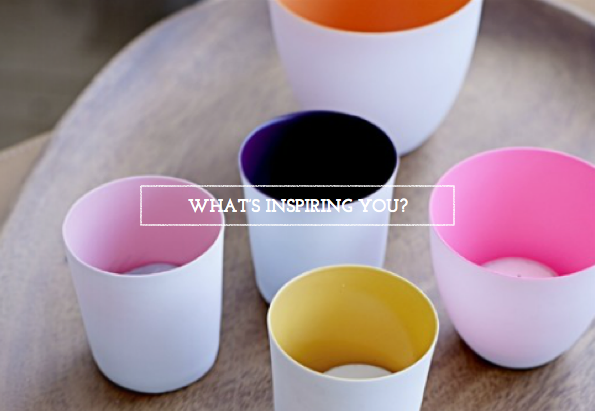 Bloomingville - founded in Denmark in 2000 - is a prime example of fine Danish design. Initially, the brand's product line consisted of items sourced from European producers as well as a small variety of pieces designed by the com­pany's founder, Betina Stampe. 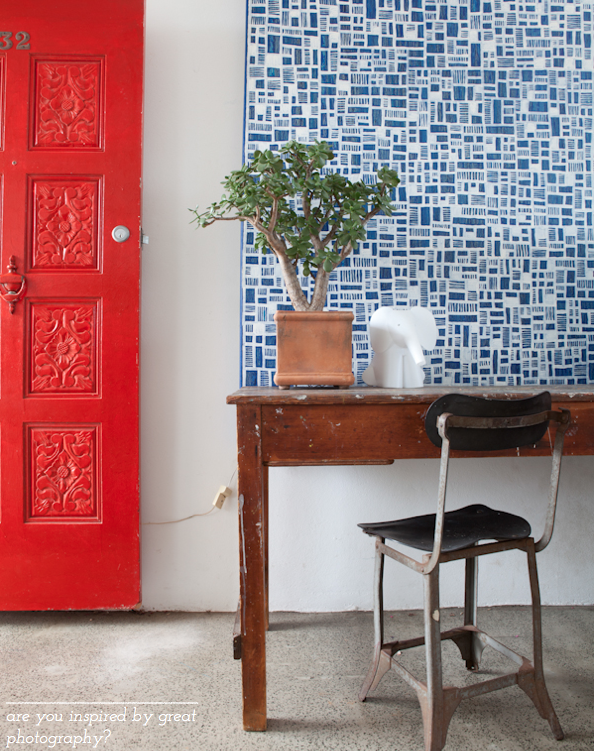 Today the company designs almost all of their product assortment in-house, with a few special vintage items sourced directly from se­lected suppliers in Southeast Asia and Africa. I can't get enough of these colourful pieces and admire how the brand mixes rustic pieces with a colourful Scandinavian edge - this is Mr. Bazaar's favourite take on Nordic style. 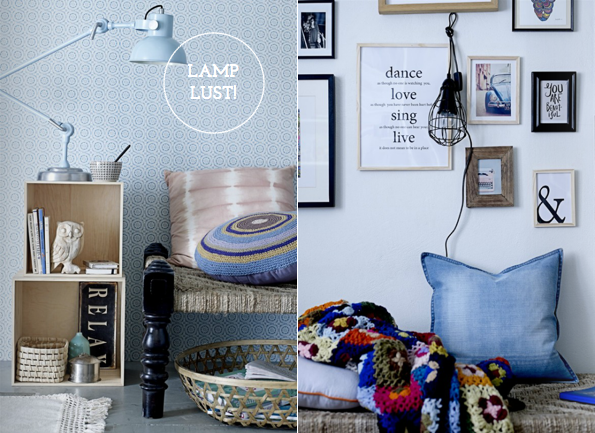 There's lots to love here but the neon light cords are a personal favourite. 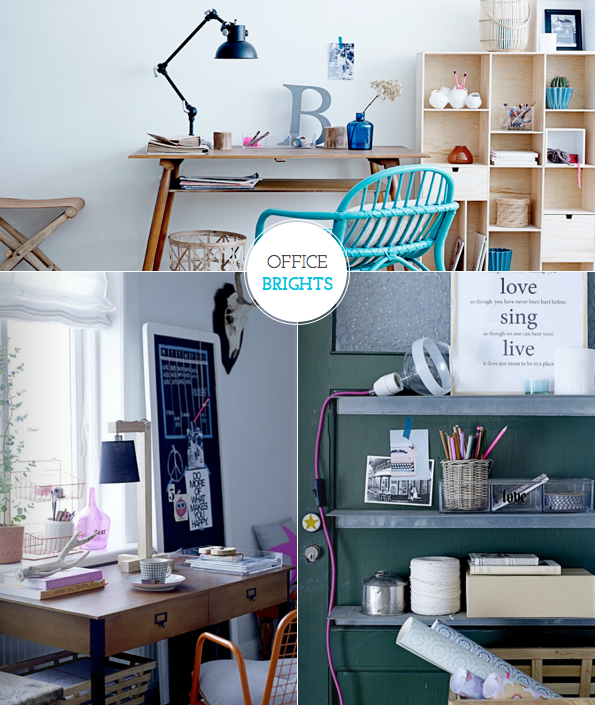 Those office spaces are pretty dreamy too, right? !